Walmart's membership warehouse club, Sam's, is offering a deal on the Samsung Galaxy S8 and Samsung Galaxy S8+ for its one-day Fall Preview Event taking place on August 5th. 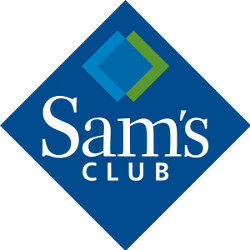 Buy either handset in-club from Sam's, and you'll receive a $350 gift card. Sam's says that this is the highest valued gift card ever offered for the Galaxy S8. And if you made it to school on the day they taught subtraction, you should be able to figure out that this makes the deal one of the best non-BOGO offers for the flagship device. The activation fee will be waived with the purchase of either model. 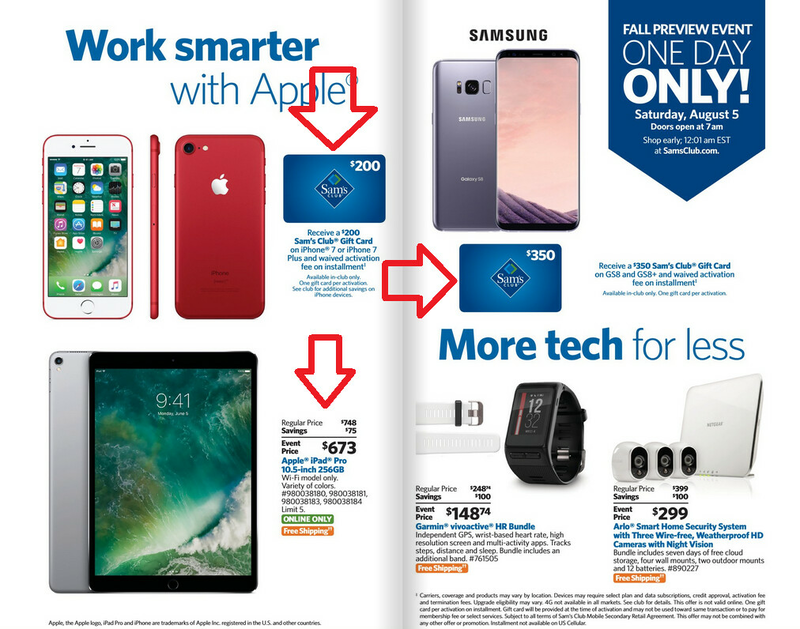 If you've rather go with a new iOS phone, buy the Apple iPhone 7 or Apple iPhone 7 Plus in-club on August 5th and you'll receive a $200 Sam’s Club gift card. In addition, the activation fee for either phone will be waived. Both the Galaxy S8/S8+ and iPhone 7/7 Plus deals are limited to five gift cards per membership. If you're looking for a tablet, the new 10.5-inch Apple iPad Pro (Wi-Fi only) will be $673 or $75 off. The Samsung Galaxy Tab E Lite 7.0 can be yours for just $79.86. Both of the tablet deals are available online only, and are limited to five per membership. Sam's might not come to mind as your first option for new phones or tablets, but when they hold a sale, you can often grab some great deals from the membership warehouse club. The problem with Sam's Club gifts cards, is you can only us eit in their store. Its not a grocery store. So if you don't own a business, or have a very large family, you can't really shop there. I am a family of 3 and I shop there for my office and for home and, there isn't much you can buy for home usage. Instead of giving me the gift card, I rather they take the $350 off the phone and just keep the card. That would be a cool deal. You can use Sams Club gift cards at Walmart. It is a grocery store if you want to buy in bulk. Shop there all the time, well once a month anyway. It doesn't take long to spend that much. I just got my ads and it's sayong $250 and not $350 like the title. The flyer I got today shows $250.